Ingraffia Home Inspections | Ingraffia Home Inspections is familiar with our competition, their services offered, and their pricing. Being a home inspector isn’t always the most glamorous job available, but sometimes we run across items during an inspection that are an ultimate risk factor, dangerous, and sometimes down-right funny. We have searched the web to find a few examples (although I’m sure there are MANY more) of what NOT to accept as a “repair” from a local handyman, contractor or ANYONE you pay to work on your home. 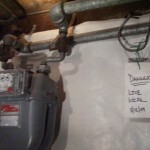 If your spouse is a DIY’er, make sure the repair does not wind up like these. 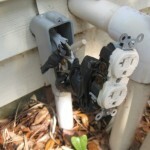 Whenever you are working with outdoor electricity, you must ensure that the wiring is properly covered. Using electrical tape to cover the wiring with caps to connect the lines is not a smart, or even legal way to connect an exterior plug. Even the receptacle itself is not the right grade. 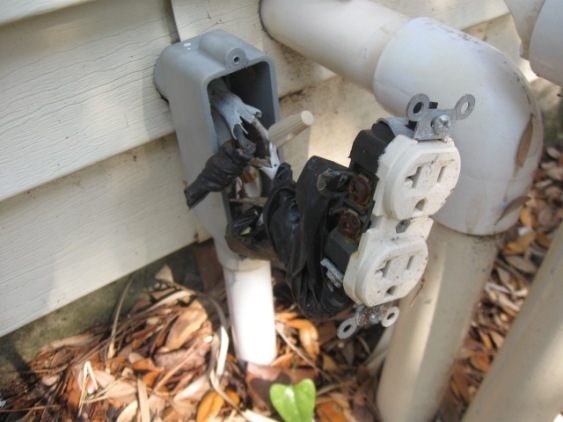 Note: when installing outdoor plug outlets, be sure they are GFI rated and are properly covered with a lid when not in use. Any exposure to water may cause significant damage to your electrical system and may even cause a fire. Look closely. Can you spot what’s wrong in this picture? Look closer. That’s it! 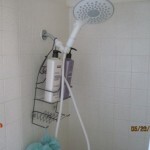 Why on earth would there be an electrical outlet IN THE SHOWER? Other than being extremely dangerous, this is prohibited by building codes. 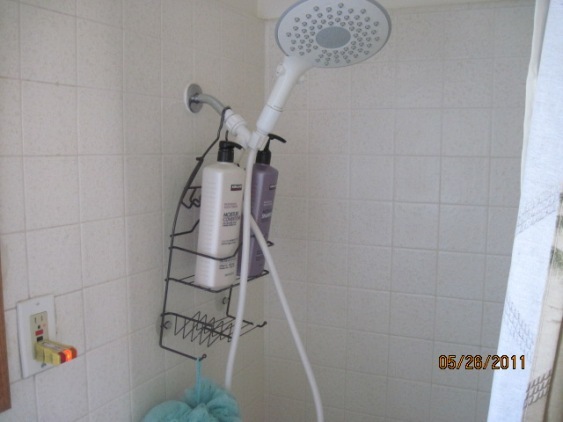 The best way to resolve this issue would be to re-route the outlet to outside of the shower stall, possibly on a neighboring wall that the wires currently share. Having exposed LIVE electrical wiring is very dangerous to all occupants. 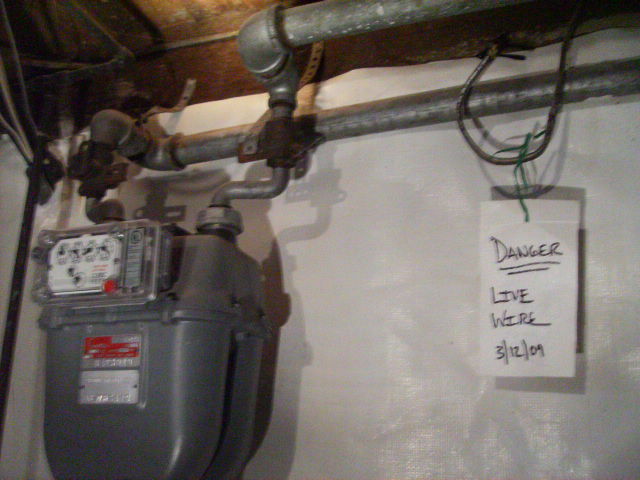 Having a LIVE electrical wire next to your gas meter can be deadly. The slightest leak combined with an electrical surge can be devastating and can be an ututer disaster. If at any time you see live, uncovered electrical wires, call a licensed and certified electrician immediately. Ingraffia Home Inspections is dedicated to ensuring that your future home is completely safe and free from quick fixes that may cost you thousands of dollars in repairs later down the line. Call us today at (714) 371-8422 and let our home inspectors in Westminster save you from the local handyman who may be your worst nightmare.